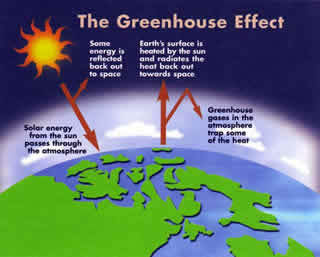 Global warming is when the average temperature of the Earth’s atmosphere and the oceans rise. Global warming is when the average temperature of the Earth’s atmosphere and the oceans rise. The temperature of the Earth is on a constant rise since the beginning of time, but recent warming conditions have been drastically increasing the rate of the temperature on the Earth. The temperature of the Earth since the early 20th century has been increasing by approximately 0.8 °C (1.4 °F), with the majoring of the increase occurring since 1980. Though global warming has existed since the beginning of time, the drastic change in temperature is upsetting the balance of the Earth’s temperature. According to research, the effects of global warming vary from region to region around the world. Few examples of global warming effects include a rise in sea levels and a change in the amount and pattern of precipitation, as well a probable expansion of subtropical deserts. It will also result in the melting of glaciers and ice in the Arctic and the Antarctic. Extreme weather changes such as droughts, heat waves, natural disasters, heavy rainfall, etc. are also said to be effects of global warming. Many countries have collaborated in order to cut down the emissions all around the world; however it has been met with difficulties, where developed countries are asking developing countries to put a limit on emissions, similar to those as developed countries. Why do people have dimples? Where does the universe end?